Coriander Leaves – Few for marination. 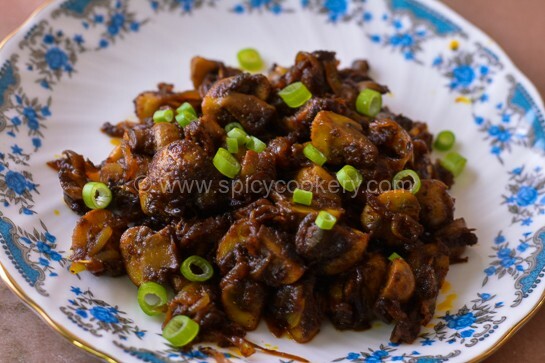 Marinate mutton with the ingredients mentioned above under marination and keep it for half an hour in refrigerator. 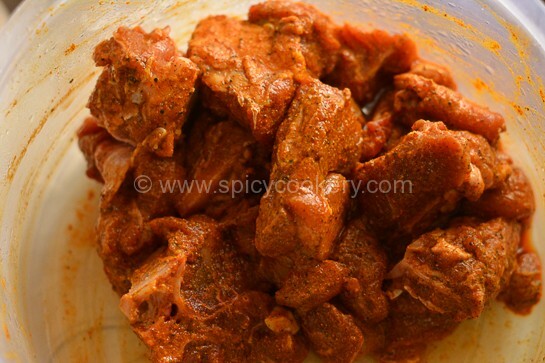 Cook the marinated mutton in a cooker adding little water. When 1st whistle comes, low flame and cook for 10mins or until done. Keep it aside. Add sliced onion, green chilies, chopped ginger and garlic. When they turn slight brown in color, add curry leaves. 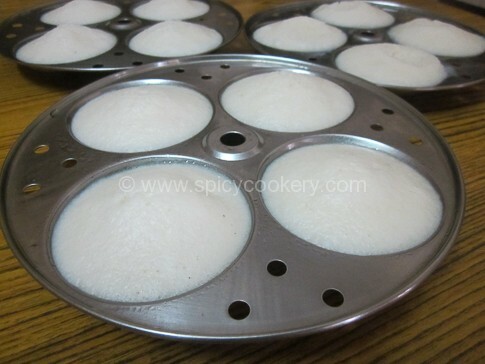 Now add Garam masala powder and stir well for 2mins in low flame. After the mutton is properly cooked, transfer whole mutton along with gravy into the kadai and mix all very well. Now add coconut milk and cook till the gravy thickens. 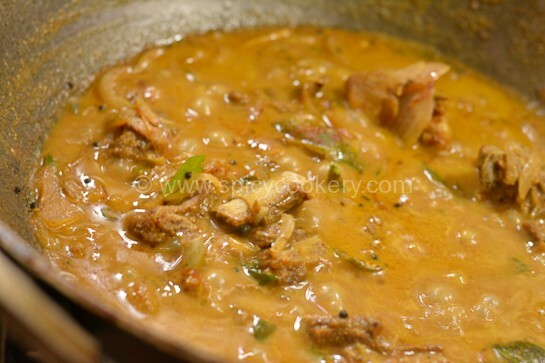 Marinate the mutton gravy with coriander leaves. 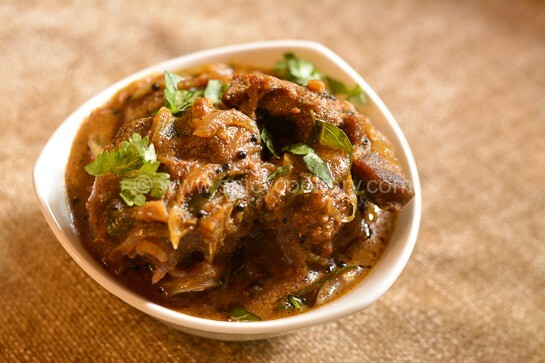 Spicy and traditional Kearala Mutton curry is ready to serve hot with hot rice, chapati, kerala porotta.